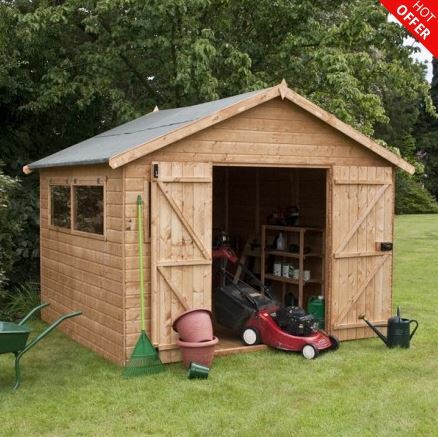 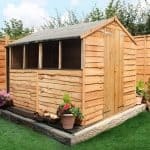 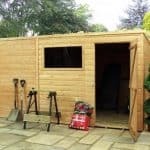 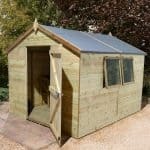 This amazing and spacious 10 x 10 double door wooden workshop shed is perfect for anyone who likes to potter around with their hobbies. 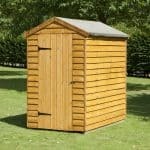 Right at the heart of the building though, is the Baltic pine tongue and groove cladding, which provides a protective shell around it. 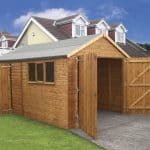 This is incredibly sturdy covering, and protects against rot. 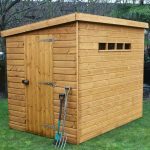 Double doors that are heavy duty also come with a lock and key mechanism, this rim lock mechanism allows you to be sure that your building will be safe and secure 24 hours a day.